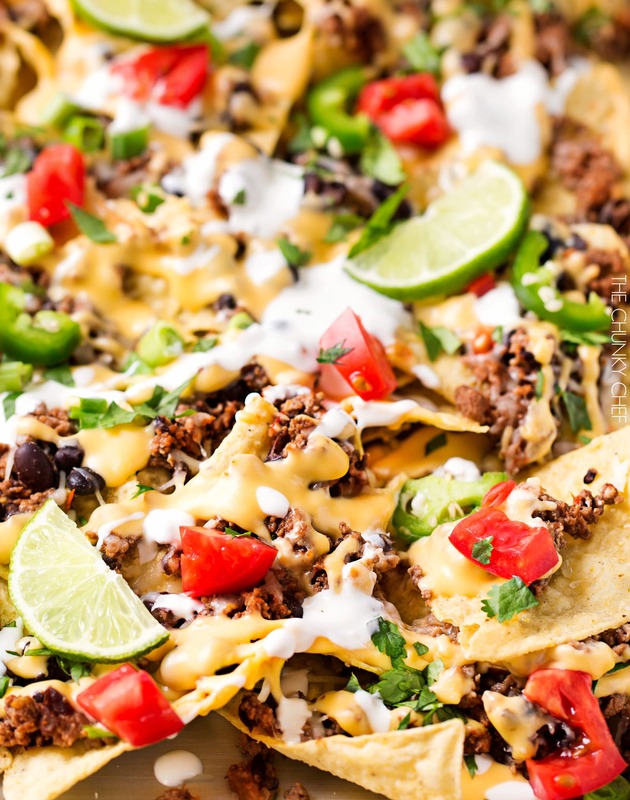 Mouthwatering beef and black bean nachos, baked on a sheet pan, smothered in a lightened up cheese sauce, and fully loaded with toppings! 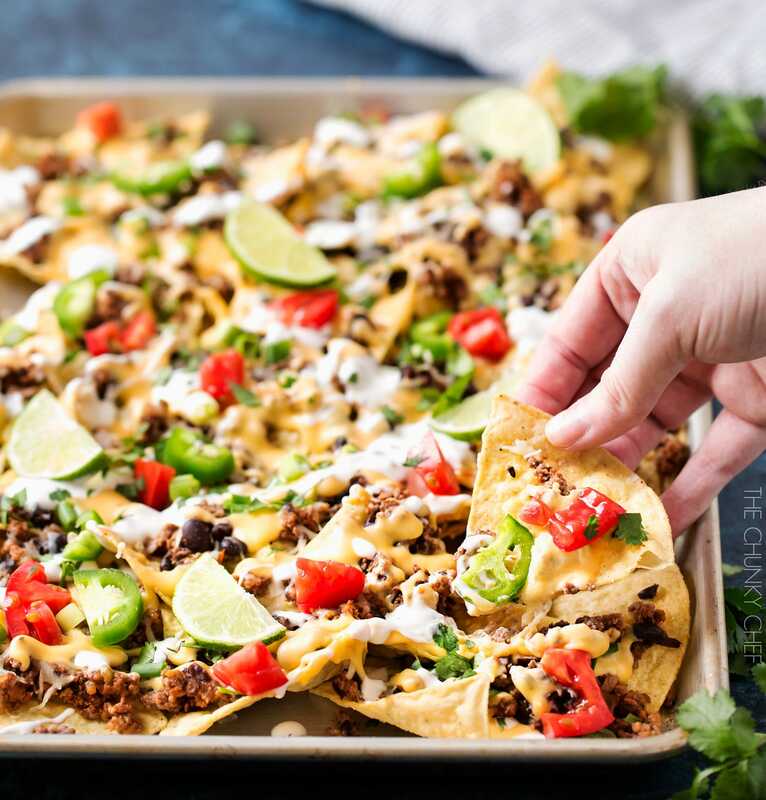 These beef and bean nachos are lightened up a bit but loaded with flavor from a homemade jalapeño cheese sauce, and made in a sheet pan… easy to transfer to the table to feed a crowd! So I know most of you are probably sick of game day foods right about now… after all, we just had the biggest game day of the year, and that usually comes with a LOT of snacks and appetizers right? But I’m a big fan of eating game day foods as a casual dinner! 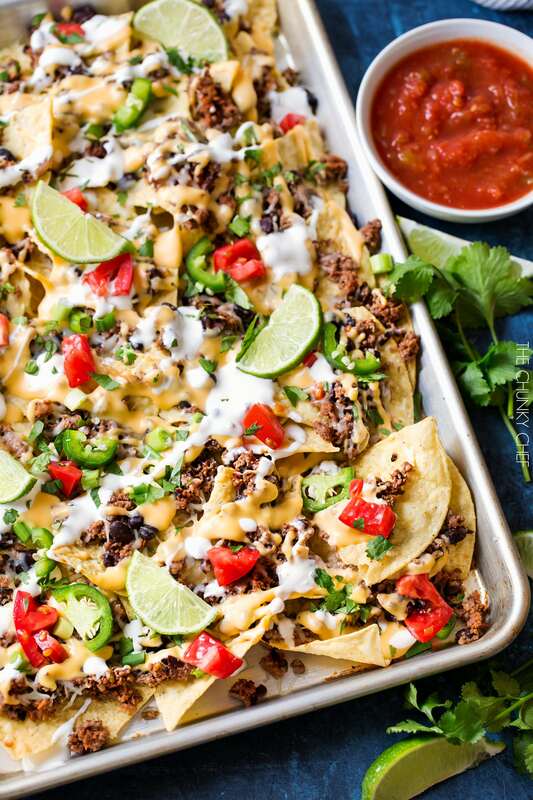 Especially these sheet pan beef and black bean nachos. Served with some Arroz Verde and Roasted Poblano and Charred Corn Guacamole it’s the perfect dinner recipe to kick back and relax with family! Of course, there are several ways to make these nachos even healthier! Drizzle some 5 Minute Restaurant Salsa over the top! 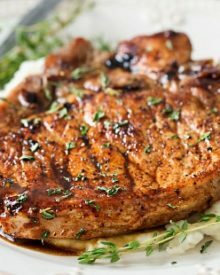 I love that these are made right in a sheet pan, so transferring them to the dinner table, or to a party, is easy peasy! Although, these aren’t truly baked. Once you layer the chips, beef, beans and sprinkle of mozzarella cheese, you’ll just be broiling them for a few minutes. Enough that the cheese is melted. If you wanted the chips to get a little extra crispy, you could bake the layers at 375 degrees F until things are crispy and gooey. After that step, you’re just adding on more layers of flavor and toppings! I made my cheese sauce with evaporated milk, which is less fatty than heavy cream, but still thick and luxurious enough to make a velvety cheese sauce! You could omit the jalapeño from the cheese sauce if you’re worried about the heat, but I don’t think it makes it too spicy… just full of that great jalapeño flavor! One thing I love about eating nachos for dinner, is that they’re perfect year round! 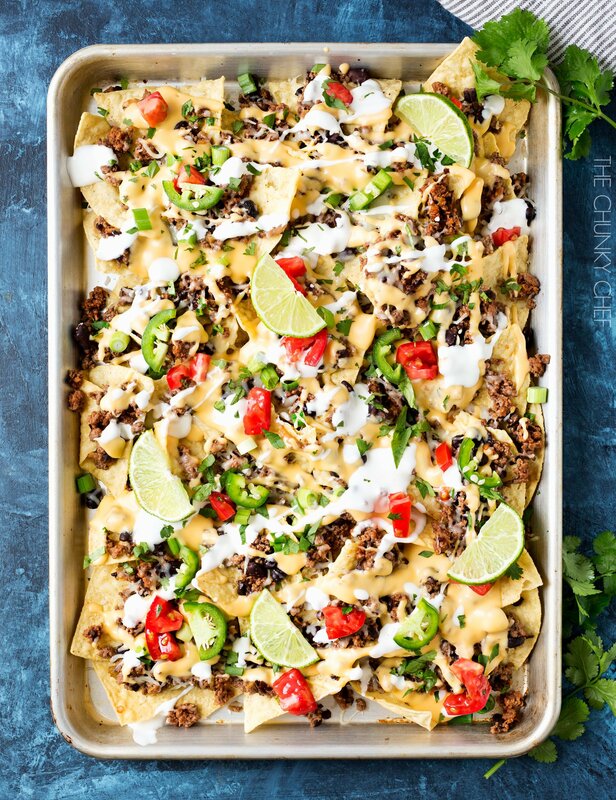 I hope you give these Sheet Pan Beef and Black Bean Nachos a try soon!! Spray large skillet with nonstick cooking spray and heat over MED-HIGH heat. Add ground beef and cook about 5-7 minutes, using a wooden spoon or potato masher to crumble finely. Drain if needed. Return pan to heat, add cooked beef back to skillet. Add chili powder, Chile powder, and cumin, stirring to combine. Add half the black beans to pan and use a potato masher to mash them in with the beef. Stir in picante sauce. Remove pan from heat and set aside. To a small bowl, add cornstarch and 1/4 cup evaporated milk. Whisk to combine. Pour remaining evaporated milk into a small saucepan and heat over MED until simmering. Add cornstarch mixture, whisk to combine. Sprinkle in grated cheese and minced jalapeño and stir until melted and smooth, about 2 minutes. In a sheet pan with sides (like this jelly roll pan), layer chips, beef mixture, remaining black beans, and mozzarella cheese. Broil on HIGH for a minute or until cheese is melty. Drizzle with cheese sauce and Mexican crema. Top with desired garnishes and serve hot. 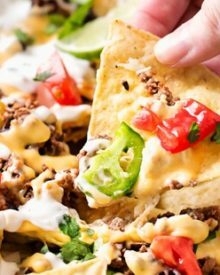 Beef/bean mixture and cheese sauce can be made ahead of time, kept refrigerated and reheated prior to making nachos... this is a huge time saver! 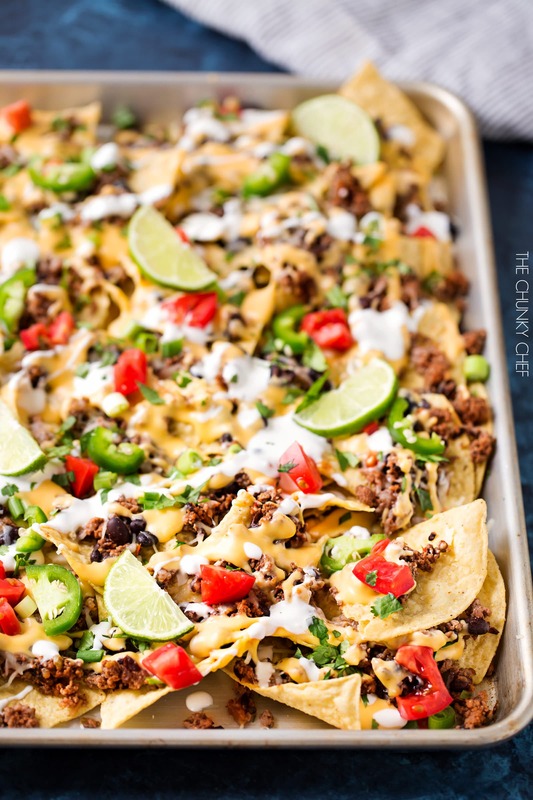 Loving these sheet pan nachos! Can’t wait to try these! Hi, looks great. What do I do with the cornstarch mixture? I haven’t made nachos in forever. These look out of this world. Just pinned this because I’m in love with sheet pan meals! Also, those pictures are perfect! This looks amazing! 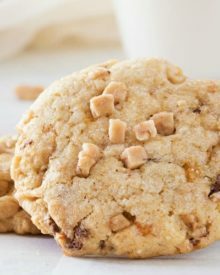 I cannot wait to make them and try them out! This is one gorgeous dish that I would be proud to set before my hungry family! WOW!! I must try this asap! It looks fantastic!! This would have been a stellar recipe for our get together Sunday night. My favorite snack for football games is nachos. 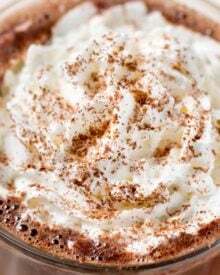 This recipe sounds perfect! Mouthwatering to say the least! I must try this!